Citizens by Citizens is a solid record. Put together by Zach Bolen and his band – who direct music at Mars Hill U-District in Seattle – this album is a worship album with its feet standing firmly in Scripture. The album opens with Sweetness of Freedom, complete with joyful shouting from a bunch of college students and it sets the scene that we are free from our sins through the blood of Jesus and that’s something worth celebrating. Lead single Made Alive slinks along with angular guitars and even a special appearance of bongos (check out my interview with Zach below for the story behind that!). It packages Ephesians 2 into a sweet radio-friendly track. I Am Living in the Land of Death is the rock opera of this record, complete with a shuffling groove and Muse-esque guitar solos. Jesus! brings a new melody to Philippians 2, complete with a heartbreaking bridge. Hymns such as I Surrender All and Praise to the Lord are reworked and the closing number Oh God is another ballad featuring space-like synths and heartfelt emotion. Buy this album. Play it loud. Sing along. Zach told me that he wrote Citizens to communicate Jesus, and so that people who listen would be passionate about worshipping Jesus and would sing along with the lyrics that are so faithfully based in Scripture. You can stream my full chat with Zach Bolen from Citizens below. 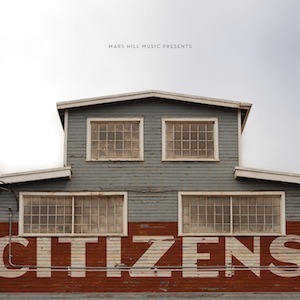 Posted in MusicTagged Album Review, Christianity, Citizens, Interview, Jesus, Mars Hill, Mars Hill Music, Mars Hill U-District, Seattle, Zach BolenBookmark the permalink.